Photo courtesy of Flickr user William Jahncke. Forests, like shellfish and salmon, define the character of the Hood Canal region. Forests line the shoulders of the Olympic Mountains, our shorelines, and the lowlands we call home. Evergreen forests dominate the majority of the Hood Canal area from the coasts to the mountains. Deciduous and mixed canopy forests are primarily associated with coastal and lowland areas, and with river valleys. Understanding how these different management regimes affect forest resources will help us in crafting the right strategies to meet Integrated Watershed Plan (IWP) goals. 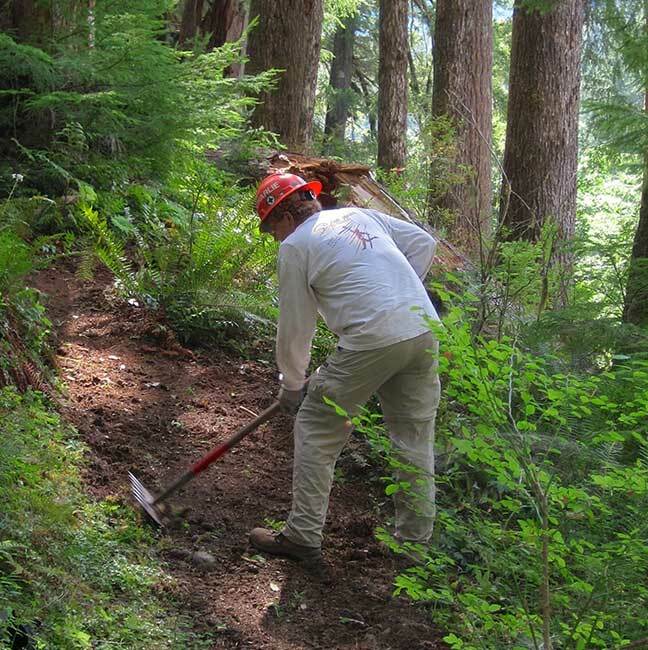 Learn about what each of us can do to help Hood Canal forests. Combined forest cover has remained steady from 1992-2006. However, forest cover changes are occurring within some landscape types and require more monitoring. There have been significant decreases in lowland evergreen forests, and increases in lowland and mountain deciduous forests, suggesting land use changes in those areas. Over time, the amount of forest cover has changed in the Hood Canal watershed. Forest cover losses have been greatest along shorelines in northwestern and southwestern Hood Canal and the southern Kitsap peninsula. These changes are primarily due to timber harvest and residential development. Forest cover has increased or remained relatively stable in the mountainous areas of Hood Canal and on federal- and state-owned lands. How have our forests changed over the past 20 years? What types of forest cover exist in Hood Canal? What challenges do we face to keep our forests healthy? 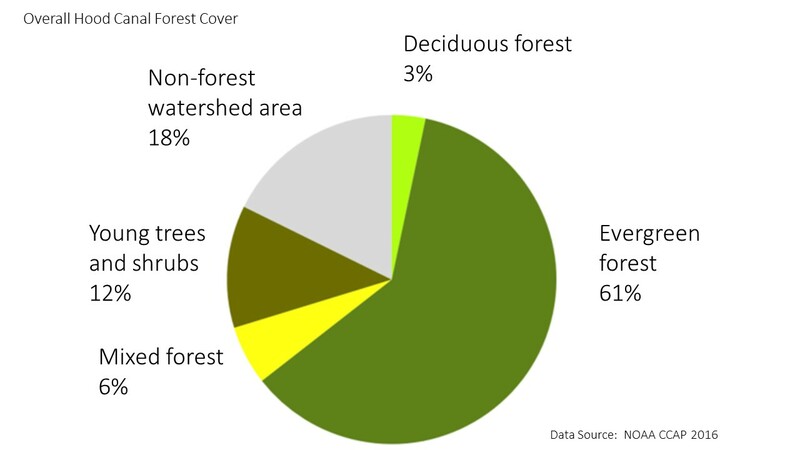 How are our forests managed? What are we doing to improve forests in Hood Canal? Competing ecosystem and socio-economic interests present challenges to accomplishing Integrated Watershed Plan (IWP) goals for Hood Canal forests. Forest conversion has been concentrated in the coastal and lowland areas of Hood Canal. Between 1995 and 2006, approximately 24,500 acres were converted from forest to some other land use. The forest resources in different areas, and for varying uses, are subject to different pressures.